I released the first half the RPG playtest rules for $10/month patrons over at Patreon. It’ll go out totally for free for all patrons eventually, but if you want an early look you can check it out over there. I’m pretty proud of the work I’ve put into this, so if you do pick up what’s there so far, please give me feedback! Let me know what you’re doing with it! If anybody is in the ATL area and wants to cobble together a playtest, I’m down. I did not even know I needed this. 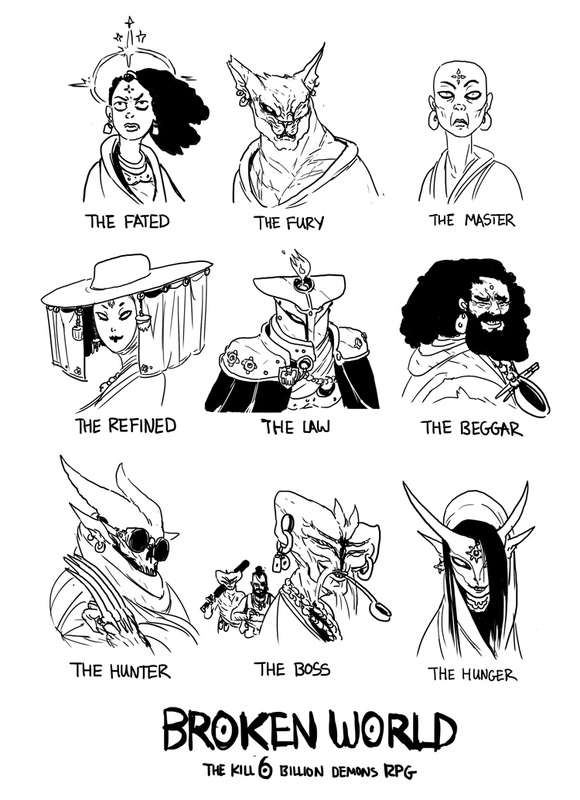 I actually do RPG design if you need a hand with that side of things. Hit me up. Perhaps change the name to something like, “Dreams of a Fractured World”? Anyways, looks good so far! So, is there any plans on adding classes for the other orders of knights? It looks like there’s one for the Mendicant Knights with the Beggar class, but what about the other three orders, Geas, Belligerent, and Peregrin? Also, are you planning on elucidating on what the Purposes of the Servant races we’ve seen in the comic are, assuming that they won’t be detailed in the comic itself? For instance, you’ve said that Preem Nash is a Goblin, but not what the Purpose the Goblins were created to serve.